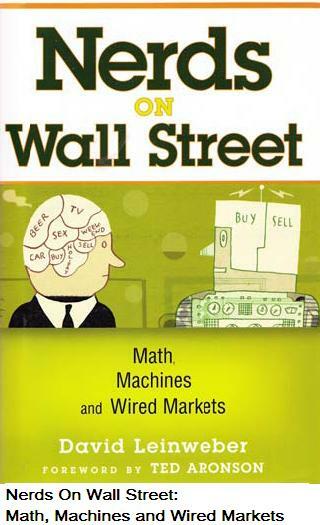 David Leinweber, author of Nerds on Wall Street: Math, Machines and Wired Markets, talks about the impact of big data on technology, trading, regulation and risk management. 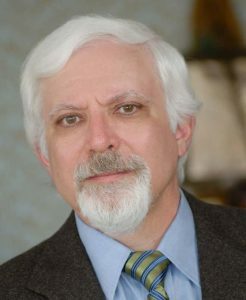 David Leinweber heads the Lawrence Berkeley National Laboratory Computational Research Division’s Center for Innovative Financial Technology, which was created to help build a bridge between the computational science and financial markets communities. His professional interests focus on modern information technologies in trading and investing. As the founder of two financial technology companies, and as a quantitative investment manager, he is a pioneer in the transformation of markets. At the RAND Corporation he directed research on real-time applications of artificial intelligence that led to the founding of Integrated Analytics Corporation (IAC). IAC was acquired by the Investment Technology Group; its product became QuantEx, an electronic execution system used for millions of institutional equity transactions daily. He is a graduate of MIT in physics and computer science. He also has a Ph.D. in Applied Mathematics from Harvard. FIXGlobal: How has big data changed the technology and hardware requirements for latency-sensitive trading strategies? FG: Does big data affect short term, higher frequency strategies more or less than long term, fundamental strategies? FG: Are regulators better off attempting to curtail data volumes (Tobin Tax, excess messaging fees) or radically expanding their capacity for data analysis? FG: Have the risk management strategies at large brokers and institutional investors changed to reflect the increased size of financial data? What changes should be made to intraday risk systems to account for the increased volume? FG: Who can ‘get away with’ not looking at the full data set? For low frequency firms, is the consolidated, summarized version sufficient?